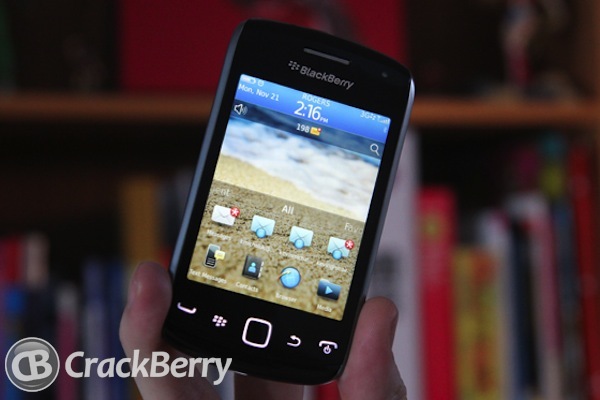 OS 7.1.0.402 has leaked for the BlackBerry Curve 9380. This is an unofficial (leaked) OS, so while it's mostly safe to install, remember to use caution when updating your device. If you need help along the way, you can head into our help forums or check out some of our BlackBerry 101 articles including How to Install or Upgrade to a new OS or How to Upgrade Your BlackBerry OS Using App Loader. If you do install this OS, hit up the forums thread below for findings, fixes and more discussion. *OS Disclaimer - Please Read: Keep in mind this is NOT an official release and as such is not supported by RIM or your Carrier. If you choose to install, do so at your own risk and only if you're comfortable in the process of upgrading and downgrading your device software. It is quite normal during operating system development for certain features to be crippled or disabled while others are tested, and these beta builds often reflect that. They are not always better. Depending on your BlackBerry comfort level, it may be best for you to wait for community feedback on a build before deciding to download and install for yourself or simply wait for the next official release. If you require support, you will find it in our CrackBerry forums via our extremely knowledgeable community base - do not contact your carrier or RIM for Beta OS technical support (their first course of action will be to advise you to downgrade to a supported OS).